Preliminary data indicates that the water quality of the Chesapeake Bay and its tidal tributaries has reached a record high: an estimated 42 percent is now considered to meet clean water standards. This is a slight improvement over the previous record high of 40 percent reported in 2017. While there is still a long way to go before reaching 100 percent attainment, Chesapeake Bay Program experts are cautiously optimistic by this progress. In a 2018 article published in Science of the Total Environment, researchers observed “positive and statistically significant trends” in the Bay’s water quality since monitoring began in 1985. They found that water quality improved at a more considerable rate in the short term, assessed during the 2014-2016 period, in comparison to long-term trends measured from 1985-2016. 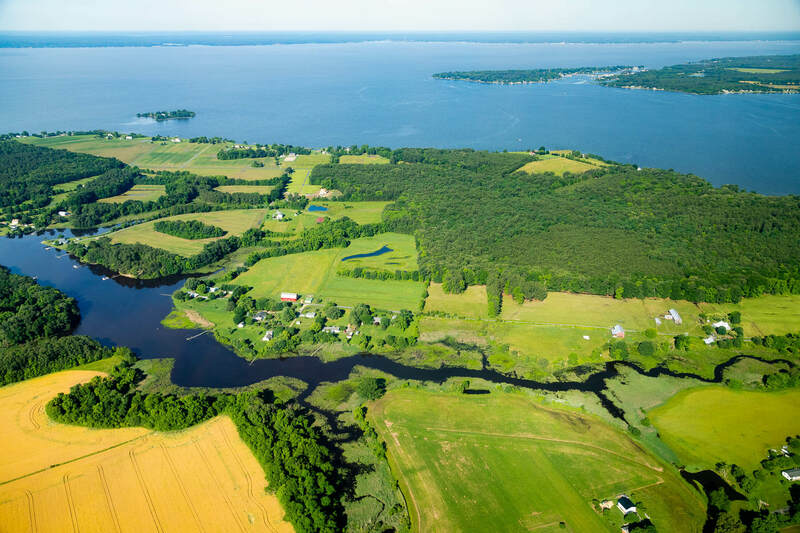 This suggests that efforts of our 35-year-old partnership to reduce nutrient pollution in the Chesapeake Bay watershed is helping to improve water quality, and the Bay is showing more resilience to the impacts of extreme weather. “Everyone who contributed to the new research published in the Science of the Total Environment was excited to find that the Chesapeake Bay achieved its highest score in water quality standards attainment since 1985 and that its long-term improvement was closely linked to the reduction of nitrogen loads from the watershed,” said Dr. Qian Zhang, one of the report’s lead authors from the University of Maryland Center for Environmental Science and a Watershed Effectiveness Data Analyst with the Chesapeake Bay Program. Further evidence to support this research was published in 2018 in the Proceedings of the National Academy of Sciences, when Bay Program experts linked the increase of underwater grasses to actions taken under the Chesapeake Bay Total Maximum Daily Load (TMDL). What determines the health of the Bay? 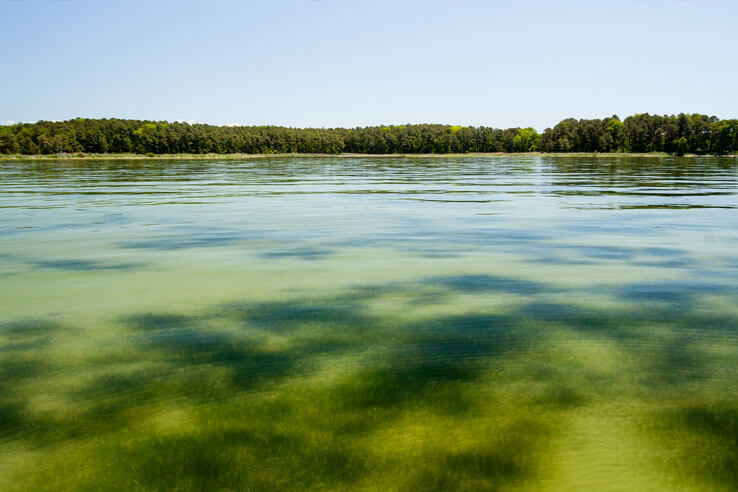 The Chesapeake Bay Program measures progress toward the achievement of water quality standards in the Bay using three environmental factors: dissolved oxygen, underwater grass abundance (to measure water clarity) and chlorophyll-a. Chlorophyll-a: Last year we saw a reduction in chlorophyll-a, a measure of algae growth. Large algae blooms can block sunlight from reaching underwater grasses, causing them to die. As they decompose, the water loses oxygen, which fish and other underwater life need to survive. Underwater grasses: Underwater grasses absorb excess nutrients and need clear water to thrive. In 2018, the acreage of grasses increased, indicating that the water was clear of algae blooms and excess sediment. Dissolved oxygen: Just like humans, underwater life needs oxygen to survive. An increase in dissolved oxygen, like we saw last year, means that blue crabs, striped bass and other critters had more access to a resource they need to survive. The water quality of the Bay is also impacted by the pollution that flows into it. Between October 2016-September 2017, approximately 240 million pounds of nitrogen, 12.7 million pounds of phosphorus and 4.3 billion pounds of sediment reached the Bay: a 0.4 percent, seven percent and 14 percent decrease from the previous assessment period, respectively. Pollution loads vary each year due to land use and river flow. While the amount of nutrients and sediment flowing into the Bay may fluctuate on an annual basis, the fact that pollution continues to decrease while river flow increases, is a promising sign. However, the impacts from the record amounts of rainfall that fell across the entire watershed in 2018 are still being realized and will be reflected in data currently being collected. 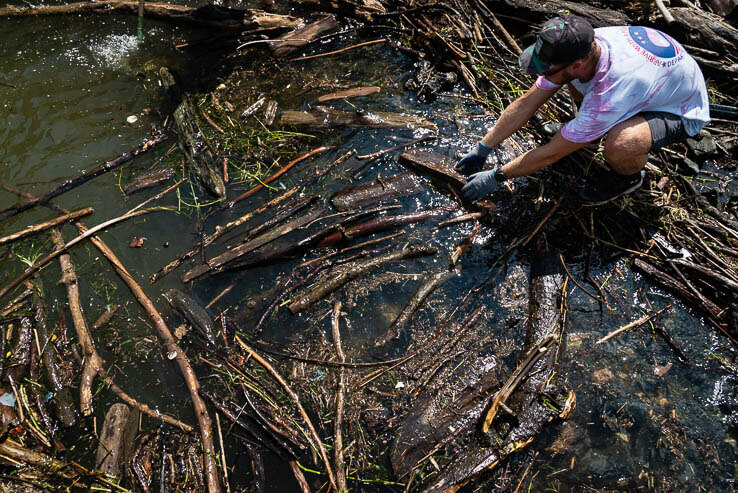 These weather patterns not only contributed to high river flows and heavy flooding, but also brought a larger amount of fresh water into the Bay, leading to fewer jellyfish, a lingering “dead zone” and finfish moving to new areas. It remains to be seen how this will impact the water quality of the Bay in the future. Excess nutrients and sediment are among the leading causes of the Bay’s poor health. Sediment runoff can block sunlight from reaching underwater grasses, causing them to suffocate and bury shellfish. Nutrients can fuel the growth of algae blooms that lead to low-oxygen dead zones. Management actions taken by Chesapeake Bay Program partners, including local governments and communities to reduce pollution have shown modest success under the Bay TMDL, but the challenge of putting enough conservation practices on the ground to further reduce agricultural and urban runoff remains. 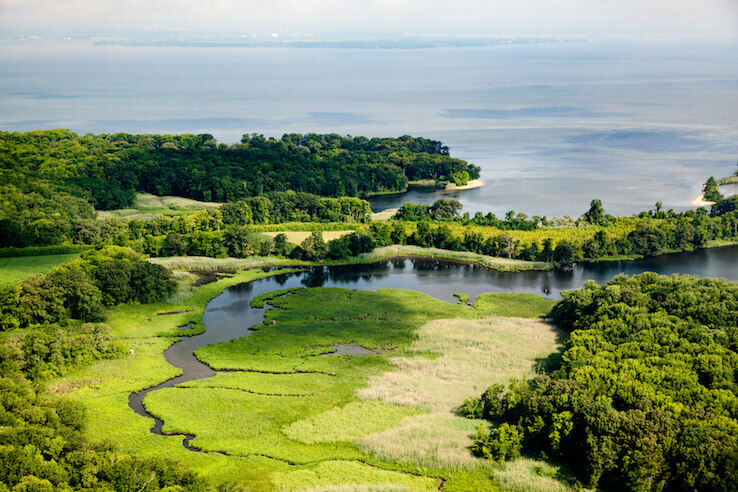 “The hard work of more than 1,800 local governments across the Chesapeake Bay watershed is paying off as water quality in the Bay, and in our local streams, is showing significant progress,” says Penny Gross, member of the Bay Program’s Local Government Advisory Committee and Fairfax County Board of Supervisors. Learn more about the water quality of the Bay. Thank goodness the Bay improves. We can do this!